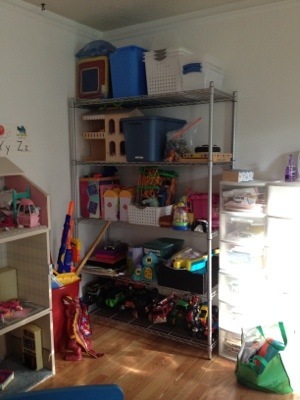 The kids’ rooms and the toy room have needed a major purge for several years. We haven’t had room for new toys! The new toys have filtered to their bedrooms. So we purged all bedrooms and the toy room. 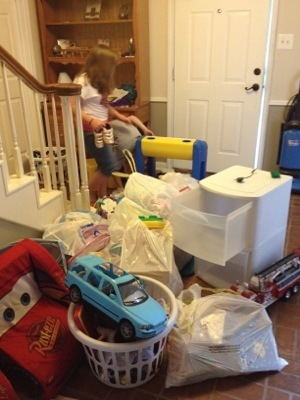 And this pile was the end result (plus a few more nags of toys that hadn’t come down the stairs). But from all of that comes order. And a real place for everything!